The piggy pig bak kut teh in me? We are inseparable. For a fact. 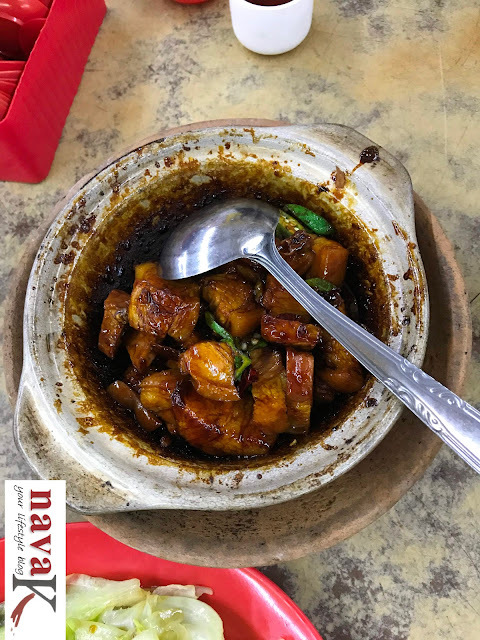 My all time favourite and I need my fix of bak kut teh if not regularly, at least every now and then (Siong Juat Bak Kut Teh Port Klang). But this thing to bak kut teh is quite an impossible mission. Why? Because you can't put my other half-half and pork together. Outrightly, he is anti-pork. Of course, I still have a choice. What are the coffee shop stalls for? Then again, trust me. Nothing like a bak kut teh communal meal with friends (Ming Kee Bak Kut Teh, Old Town). Like minded bkt lovers dining together and getting down to our own analysis if it was worthiness (Kepong Heng Bak Kut Teh) or pretty much just another Chinese pork soup. My latest bak kut teh discovery. 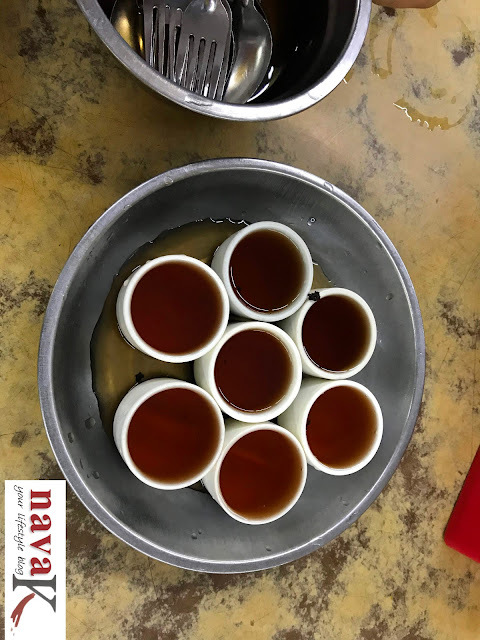 Yap Chuan Bak Kut Teh. 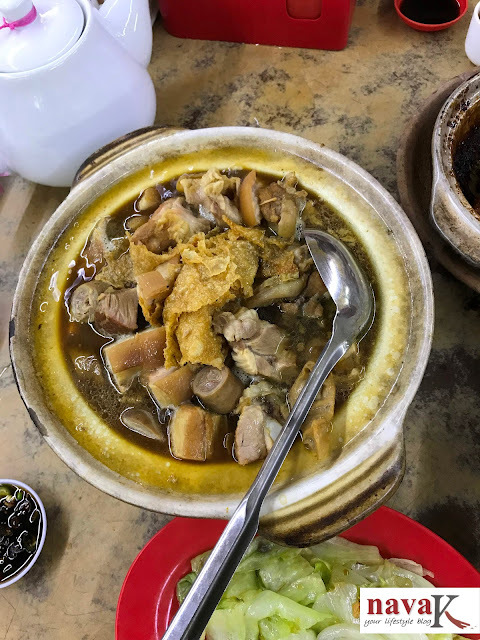 With my four Chinese friends and where customers were streaming in throughout as we tucked into Yau Mak/Romaine Lettuce Garlic, Dry Bak Kut Teh, Black Vinegar Pork Knuckles and of course, soupy Bak Kut Teh is a must. 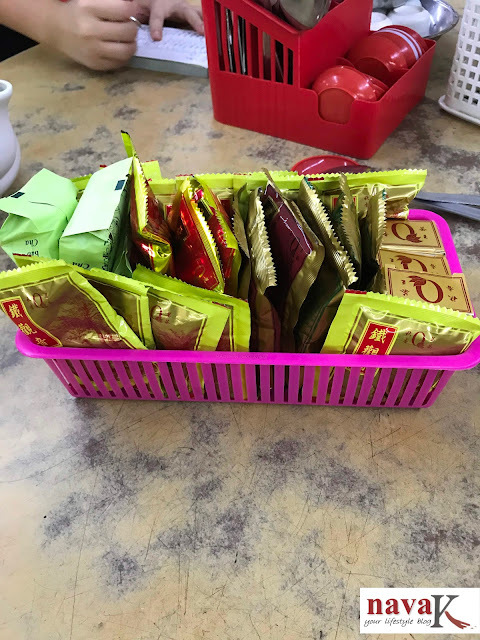 Washed down by your choice of Chinese Tea from the ones in sachets. Self service yea. Put the tea leaves in the pot and pour hot water. Yap Chuan Bak Kut Teh. How did it go with me? My favourite had to be the soupy bak kut teh. Most probably simmered over a long period of time and till all parts of pork are soft and tender, plus served piping hot in a clay pot. Really flavourful soup and without the customary and quintessential Chinese herbs over-taking and over-powering it. Just nice. Just right. Absolutely delicious. Until I wouldn't stop slurping and more pour atop at our request. Also, can you imagine delighting into its wholesomeness alongside rice and birds eye chillies and garlic in soy sauce? Sounds mouthwatering right? One of the best bak kut teh I must vouch. Equally a mouth popping pleasure was Black Vinegar Pork Knuckles. Oh-My! Sourness, saltiness and meat falling apart effortlessly. Sinful, yet nothing could almost be discounted. What about Yau Mak Garlic? My mouth is zipped. Or maybe I should say, the usual easily put together fare. 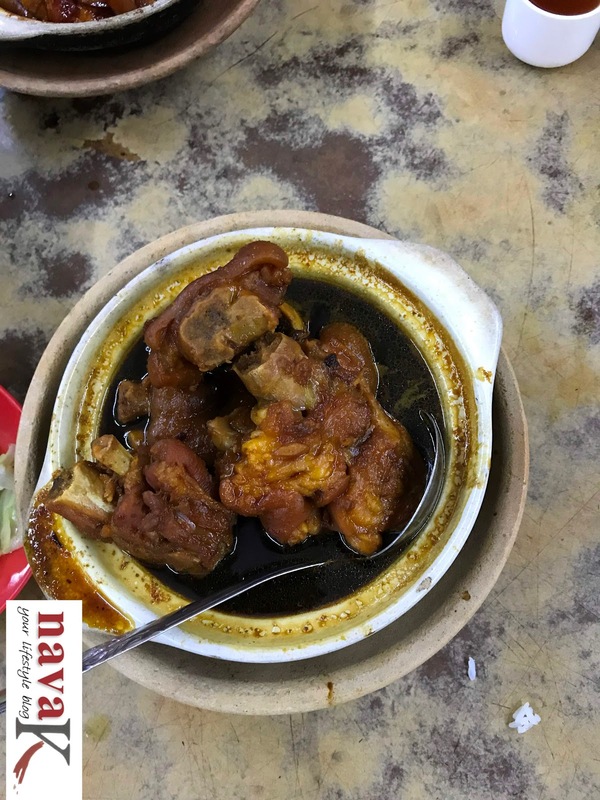 Dry Bak Kut Teh on the hand? I didn't touch. Though my friends were quite happy. Thin slices of pork coated in soy sauce and cooked alongside onion, and maybe a tiny bit of dried chillies. 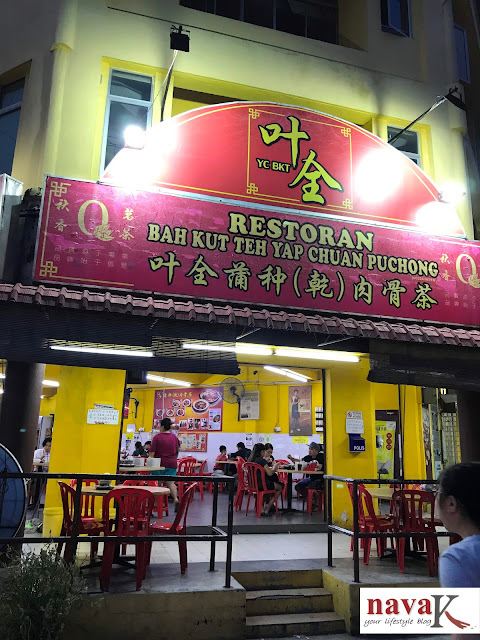 For me personally, I will stand on my ground for the soupy bak kut teh because my Bak Kut Teh craving was utterly satisfied, Another visit to Yap Chuan Bak Kut Teh? Why not? I won't mind. 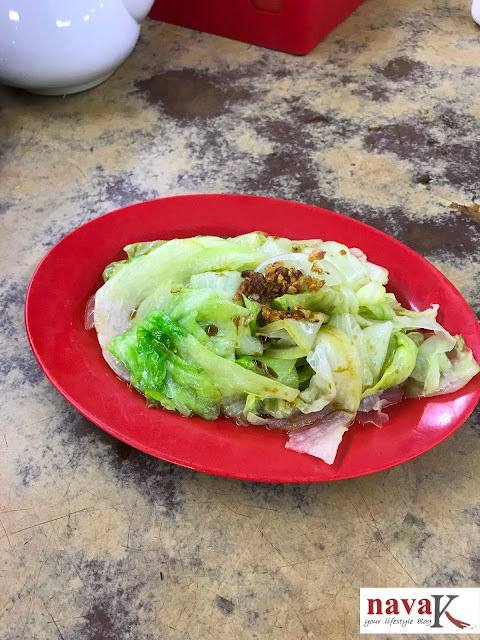 I am definitely keen in finding about what else will be a good run and in tandem to soupy bak kut teh or black vinegar pork knuckles.